May 11, 2018, Baku - Azeraeronavigation Air Traffic Control Department (AZANS) under CJSC Azerbaijan Airlines completed the process of introducing integrated aeronautical information management system AIM. Such a fully integrated system was first introduced among all other countries of the post-Soviet space. The new system reflects the System Wide Information Management (SWIM) concept in accordance with the global concept of air traffic management and is part of the ICAO roadmap. SWIM supports the exchange of aviation, airport, flight, meteorological information, as well as information on the flow of aircraft and airspace capacity. This approach allows to ensure end-to-end information exchange between all providers and users of information while organizing air traffic. "Modern civil aviation is impossible without timely provided reliable, accurate aeronautical information. Thanks to President of the Republic of Azerbaijan, Ilham Aliyev’s support, Azerbaijan Airlines is now introducing advanced technologies that allow organizing a continuous flow of aeronautical information from originators to end users in digital form. This, in turn, will improve the quality of the services provided, accelerate the process of handling and provision of information important for ensuring the safety and efficiency of flights," Farkhan Guliyev, Director of the Azeraeronavigation Air Traffic Control Department, said. 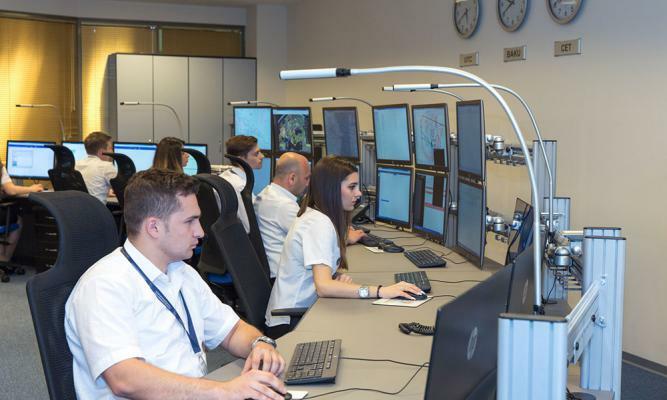 Azeraeronavigation is ready to cooperate with other air traffic control centers in order to share experience in introducing the latest technologies in this sphere.